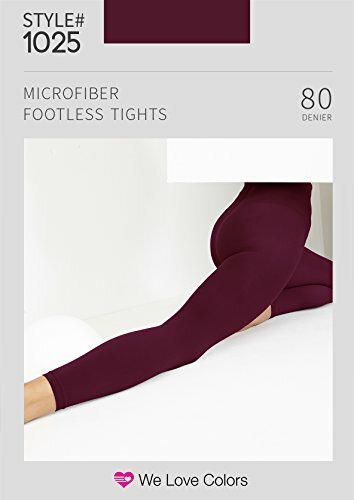 Slip into these incredibly soft and stretchy Microfiber Footless Tights for any occassion. Flexible, comfortable and colorful, these leggings are perfect for everyday durable wear as a fashion accessory. Microfiber, with addition of Lycra, is able to retain shape over a long period of time, while providing excellent stretch and comfort. We recommend wearing these as part of an outfit or with undergarments, as these tights may not be thick enough to be worn by themselves for most occassions. Please Note: these are Ankle-length tights and might be too long depending on height. Capri-style tights leggings are available in our other listing! Incredibly soft, stretchy and durable. If you have any questions about this product by We Love Colors, contact us by completing and submitting the form below. If you are looking for a specif part number, please include it with your message.